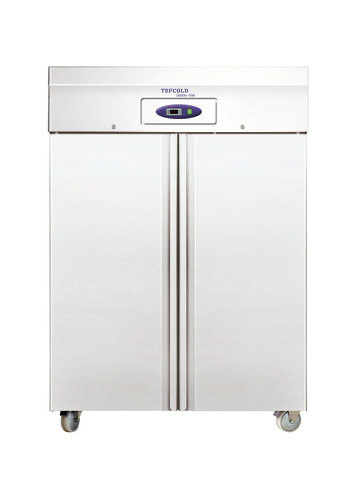 The RF1010 by Tefcold is an ideal double doored fridge for the busy catering industry. Being robust, and ideal for high stock turnover, this solid fridge is also easily kept clean having stainless steel interior and exterior. With fully automatic operation and being electronically controlled, this great fridge by Tefcold is easily maintained. The RF1010 comes with lock fitted as standard meaning that your goods are kept secure, ideal if you're working in a public environment such as a bar or hotel.